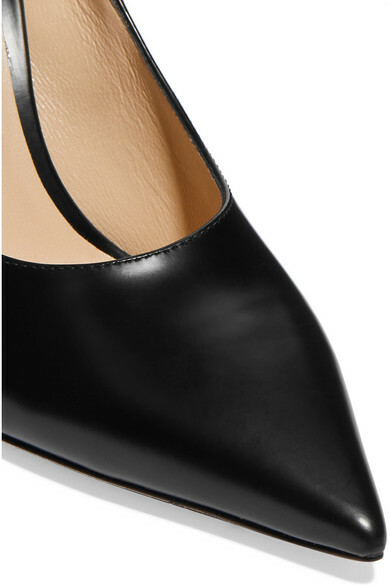 A pair of black leather pumps will always transcend seasons and trends - especially when they're designed by Jimmy Choo. 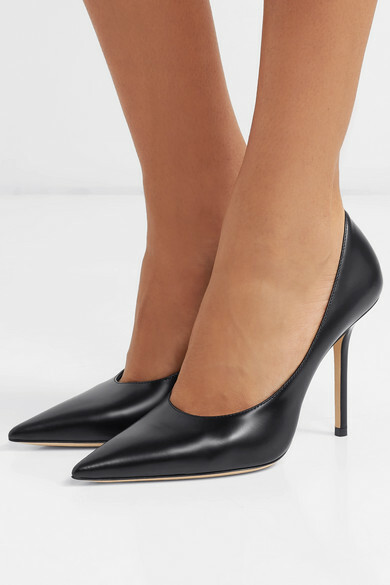 This 'Ava' style has been made in Italy with smart pointed toes and leg-lengthening 100ml heels. Make them the staple of your working wardrobe. 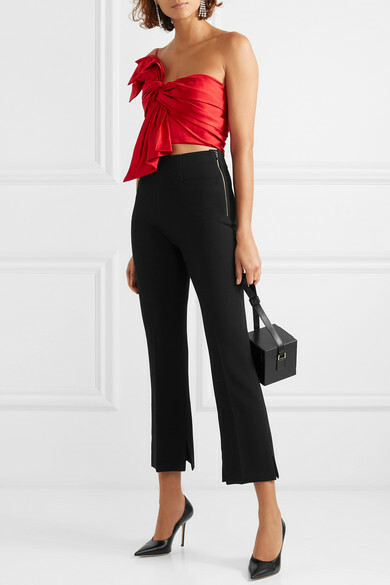 Shown here with: Reem Acra Bustier top, Roland Mouret Pants, Hillier Bartley Clutch.